The labour-intensive manufacturing industry faces many working-life challenges in the rural, sparsely populated northern areas of Finland at both operational and strategic levels. These challenges vary, being in interaction with both technical and social systems and their combinations. In this paper, the authors review and evaluate needs, actions and results carried out to improve work and productivity in three regional industrial development cases. The actions discussed in this paper, such as work environment management, change management in general and the sociotechnical approach, are essential for the success of enterprises. Using the results of this research as a basis for developing design knowledge, two guidelines for strategic management purposes are proposed. 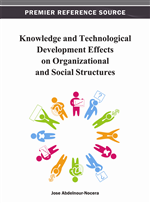 These guidelines implement sociotechnical aspects into the work environment and its management, and recognise that it is important to focus on human and organisational factors in addition to technical end environmental aspects. A proposal for a specific, unique self-assessment tool for evaluating the level of the quality of the work environment in SMEs is also suggested. Traditional management systems have not always been profound enough to understand the complex varieties of organisational life, such as quality, ergonomics, safety, marketing, purchasing and human resource management, which often result from the complex and conflicting needs of the stakeholders involved. Therefore, it is important to create and introduce management systems that combine and accommodate all these elements (Dzissah et al., 2000). In a work organisational context, technology, tools, environment and persons all affect each other. This whole entity is called a work system - a composite of people, procedures and equipment that are integrated to perform a specific operational task or function within a specific environment (Carayon & Smith, 2000; European Committee for Standardization, 2004; Roland & Moriarty, 1983; Smith & Carayon, 1995, 2000). Work systems are in this study considered as sociotechnical systems, as Hendrick (2002) for example, emphasises. Macroergonomics is one framework for combining the above-mentioned issues. Macroergonomics is a top-down sociotechnical approach to work design. A macroergonomic view is holistic, contextual and organisational in comparison to microergonomics. Macroergonomics focuses on systemic issues, general relationships and interactions (Hendrick, 2002; Kleiner, 2000) and is also concerned with organisational issues such as the optimisation of sociotechnical systems (International Ergonomics Association, 2008). Often work system components have been treated as independent entities with no relationship to each other, while macroergonomics considers them to be interdependent. The primary methodology of macroergonomics is participatory ergonomics, which involves all organisational levels in the design process (Hendrick, 2002; Kleiner, 2000). Macroergonomics pools joint design in which technological subsystems and personnel subsystems are jointly designed for a humanised task approach, and integrates the organisation’s sociotechnical characteristics into the design. Macroergonomics systematically considers the workers’ professional and psychosocial characteristics in designing the work system (Hendrick, 2002; Kleiner, 2000). The first aim of this study was to summarise and analyse specifically both the micro- and macroergonomic needs and learning issues of the cases. The second aim was to widen and develop design knowledge by proposing specific and common guidelines for diagnosing needs and implementing development actions on the grounds of the cases and literature. The emphasis on implementation plays a key role in these cases. As one of the few disciplines that can take a sociotechnical view of implementation, ergonomics can assist in the establishment of an implementation strategy that facilitates organisational change and human learning as well as technical change (Eason, 1990). Hence, sociotechnology seen from the ergonomists’ point of view can in essence be like the general design structures in Table 1.